Helix students and staff kicked off the new school year on Aug. 3, so we are already well into our first term of 2016-17. Our newest students from the class of 2020 are entering Helix at an exciting time. For the second year, incoming students participated in the “One Book, One Helix” summer assignment. 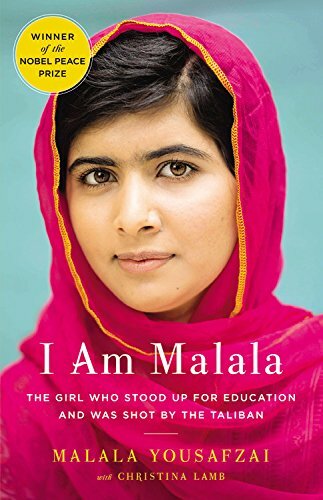 Over the summer, all of this year’s freshmen read the book “I Am Malala: How One Girl Stood Up For Education and Changed the World,” the story of a Pakistani girl who fought for her right to an education, and was shot by the Taliban for speaking out. The book was chosen because we want all students to understand the power and importance of education, and also the power that one person can have in making change. Students completed a creative project in response to the book, and teachers across subjects have also incorporated “Malala-related” discussions and assignments in their classes. Another exciting program taking place this year is “Helix 2.0: Innovation for a new generation.” This program focuses on “1:1 technology,” which means that each student is provided with a device so that teachers and staff can integrate technology into the curriculum in a consistent way. Last school year was the pilot year for the program. Approximately 250 freshmen received school-issued Chromebooks. In addition to these students, eight freshmen teachers received Chromebooks and together our students/teachers were 1:1 in eight classrooms. The intent of the pilot program was to help us gather information about the devices, how they’re used, and what instructional practices are most effective. After evaluation, the program was deemed successful enough to expand it to the entire class of 2019, and add the class of 2020. This year, approximately 1,250 Chromebooks were issued to incoming freshmen, as well as sophomores. All Helix teachers also received a Chromebook. We are excited to work with the teaching staff to continue to use technology to deliver effective curriculum, allow for better collaboration, and to engage students. Another addition to this year’s program is the creation of a help desk that is easily accessible for all Chromebook users. The help desk will be staffed by Helix’s tech specialist, who will oversee student workers. Help will be available during the entire school day, and for a half hour before and after school. Food available for purchase from noon – 3 p.m., or bring your own. Music and entertainment by the Highlander Band, and bands of alumni members. “Excellence in Education” Tour (highlight campus and Helix academic program/achievements. Bring a chair, ice chest, shade, and a picnic basket. Learn how you can volunteer, support, and give back to Helix. Visit the “Helix High School Alumni Events” page on Facebook for the most up-to-date information. As a reminder, no alcohol, glass, or pets are allowed on campus. Thank you for your cooperation. —Jennifer Osborn writes on behalf of Helix Charter High School. Reach her at josborn@helixcharter.net.